There are 164 primary schools under the patronage of the Catholic Bishop of Kildare and Leighlin. Our educational network spans 56 parishes and includes schools which cater specifically for children with special educational learning needs. 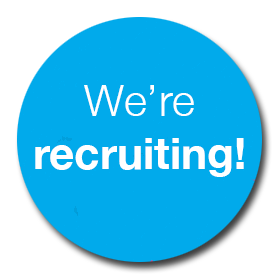 Our diocese is experiencing a period of positive change and development and we are now recruiting a part-time Patron’s Secretary for Primary Schools who will join our small flexible team and will act as the Patron’s representative in liaising and working with the Boards of Management of our diocesan primary schools. A primary degree in the field of education (level 8) or an equivalent qualification – a Master’s degree or post-graduate qualification (level 9) in Management, Leadership or a related field would be an advantage. Mediation, conflict resolution and group facilitation skills – a qualification in, or experience of mediation or group facilitation would be an advantage. Excellent team-working, interpersonal and written communication skills. Liaising on behalf of the Patron with School Boards of Management regarding their responsibilities. Developing templates and guidelines to assist schools in drawing up School Admissions and other policies and procedures relevant to the Patron. Reviewing of school admissions and other policies and procedures. Where conflicts arise, facilitating Boards of Management to effectively resolve any issues in line with best practice. Performing any other duties and tasks within the scope of the role as directed by management from time to time. Download the full Job Description and KandLe Application Form attached to this advertisement. The salary will be in the range of €25 000 – €27 000 PA (negotiable, based on qualifications and experience). All applications must be submitted on the KandLe Application Form – CVs should not be submitted. The closing date for receipt of completed applications is 5.00 pm on Thursday 27th April 2017. Shortlisted candidates will be notified by telephone by Monday 8th of May 2017. Interviews will be held on Wednesday 17th of May 2017.